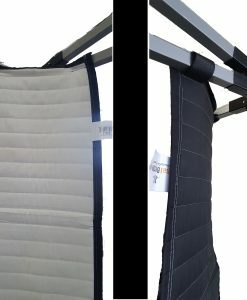 Create your Vocal Booth on demand with 7 ft of flexible acoustic blanket support that can be mounted on a ceiling with brackets to create a sound absorption barrier behind you or in a room corner. After ceiling tracks are installed, hang acoustic blankets for sound absorption producer's choice. Or use as a curtain rod to hang blankets to block the light and sound from the window. 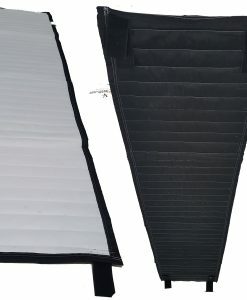 Push away the curtains when you do not need to use the booth and close when you are ready to record. 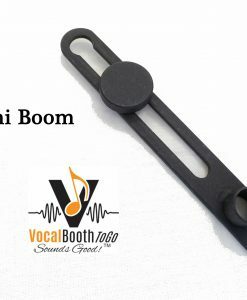 Very efficient in cutting down echo and reverberation for great audio recording. Simple to install. 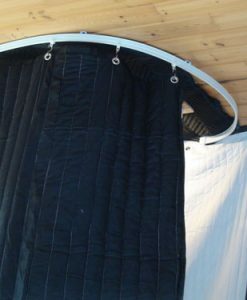 Use this Vocal Booth on Tracks (Ceiling Track Kit) with your acoustic blankets to create a walk-in vocal booth or studio without the use of floor space. 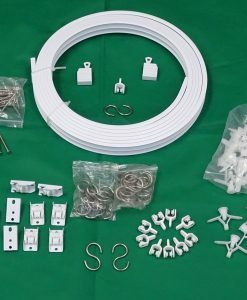 1) Flexible tracks – Basic Kit includes 7 ft long track. 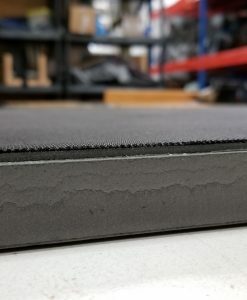 If you ordered more than 2 sets of tracks at the same time, we will send you one continuous track , which is 7 ft times number of sets. (Tracks can be easily cut with sheet metal cutters or metal cutting saw). 2) 2 End caps. 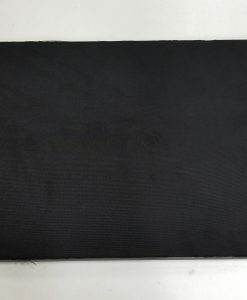 Two end caps come with each 7 ft length of track. 3) 10 Rollers. Ten rollers included per every 7 ft of track. 4) 10 S-hooks. 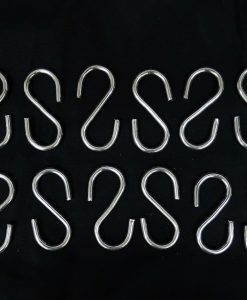 Ten “S”-Hooks come with every 7 ft of tracks. 5) 9 Ceiling Brackets. Nine Ceiling Brackets per every 7 foot of tracks. 6) 20 Screws with Anchors. Two per each Ceiling Brackets and 2 Spare. 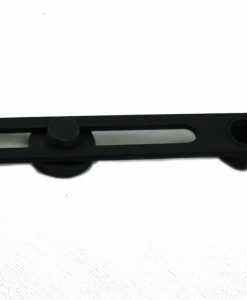 Ceiling tracks come with special ceiling brackets to attach the tracks to the ceiling. 1) First plan how your track is going to run on the ceiling. Is it straight line or curved? 2) Mark location of the brackets, approximately every 10-11 inches. Ideally you want some of the screws to go into a beam or a stud for better support. 5) Install the ceiling brackets. 6) Attach the tracks to the Brackets. This is a snap-on installation. Plastic part on the bracket is movable. To install the track simply hook one side of the track at the bracket metal lip and then gently press on the other side. The plastic locking part will move away and then lock the tracks in place. 7) Slide in the rollers. Fit the end cups at the end of the tracks. Insert the S- Hooks. TIP: you can assemble the Tracks with End cups and Rollers before fitting the tracks into the Ceiling brackets. 8) Insert the S-hooks and hang the blankets.